Bali, one of the world’s most enchanting island paradises, is the sort of place you dream about on a cold winter’s day. And it so happens that we have an extremely special Balinese getaway up for bid in this summer’s Aiglon auction: a week at Siri Mendira Beach Villas. At SMBV, the seaside setting is so breathtaking, the amenities so sterling, and the service so impeccable, you’re tempted to go looking for Adam and Eve’s apple tree. In fact, it’s hard to imagine that tropical island aficionado James Michener—were he still with us—would not want to whisper back, “Hold my reservation, I’m coming!” Nestled among other secluded private villas in the small village of Mendira, near the coastal town of Candidasa, Siri Mendira Beach Villas comprise a cocoon of luxury that meets its guests’ highest expectations. 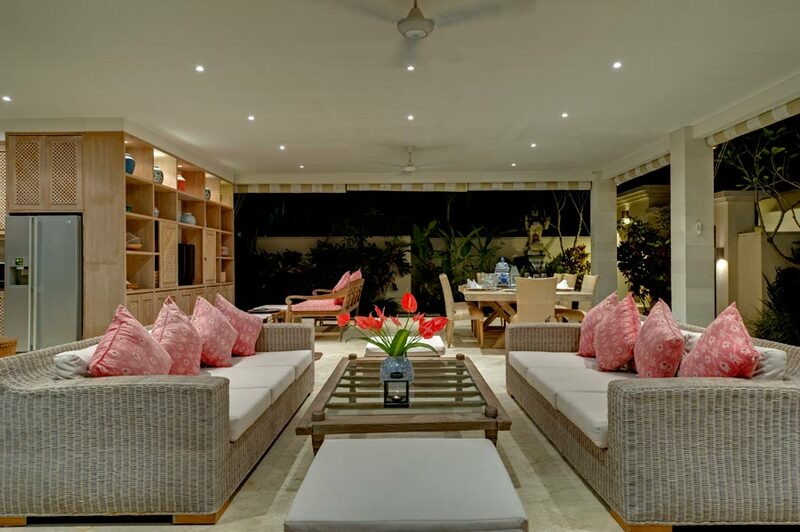 The six-bedroom villa up for bid is appointed with a mix of classic and contemporary furnishings—including collections of beautiful antiques—hand-picked for charm and comfort. A seven-night stay, including breakfasts, is up for auction. You’ll enjoy the sparkling water of your own infinity pool; a private golden sand beach; postcard ocean views; comfortable king-size beds; and spacious, elegantly designed living areas. Siri Mendira Beach Villas’ staff of 23 strives for perfection in even the smallest details—knowing that the little things make a big difference. From relaxing in-house massages to delicious meals that introduce you to mouth-watering new aromas and flavors, you’ll be pampered throughout your stay by specially trained personnel. 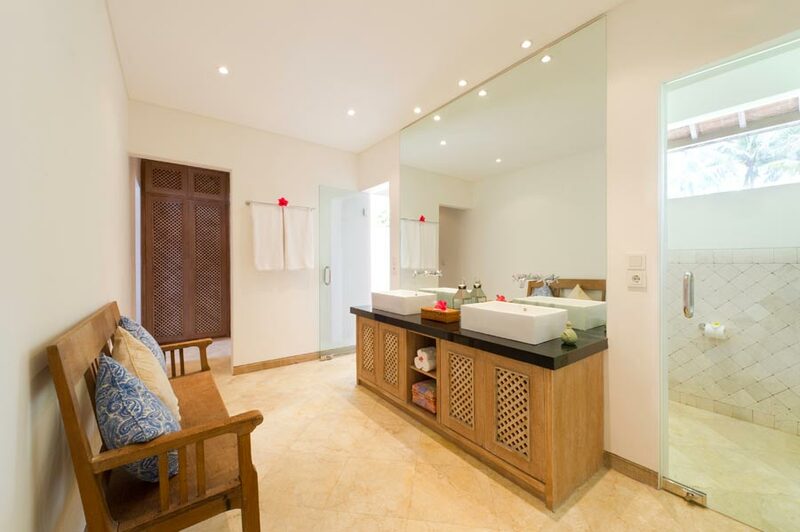 Your villa includes its own house staff and a fully equipped kitchen. East Bali is widely known for its unspoiled tropical landscape, its lush green mountains, magical Mount Agung, and the vibrant artistic community of Ubud. A beautiful coastline and an offshore reef offer endless possibilities for snorkeling, scuba diving, and surfing. And since East Bali is considered the cradle of the Balinese culture, there are countless opportunities to experience the ceremonial “Island of the Gods.” Elegance. Serenity. Comfort. Exceptional service. Exotic surroundings. All are waiting for you on one of the world’s most famous islands. This is why your week at Siri Mendira Beach Villas will be a vacation experience you’ll cherish for a lifetime. Value:US$10,400. In a word… Breathtaking! 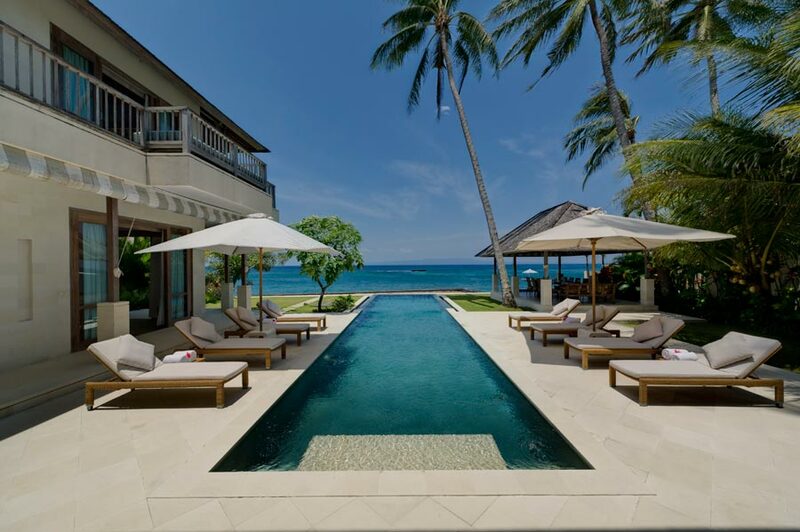 I’ve had the pleasure of staying in both the 4 bedroom Villa Cempaka and the 6 bedroom Angsoka Beach Villa. If you’re looking for a relaxing idyllic getaway, then look no further. Candidasa is a 90-minute drive along the coast from Denpasar and on arriving at the villas you will instantly fall in love with the beautiful tranquil surroundings. The facilities on offer are first class, the staff the friendliest and attentive I’ve found in 11 years of traveling to Bali – and the wonderful array of fresh foods on offer were divine. I can’t wait for my next trip to Bali. Certain restrictions and blackout dates (Christmas through the New Year, Easter, and June/July/August/September) apply. Subject to availability. Auction price does not include a five-percent gratuity to the staff payable in cash. Offer valid until November 1, 2021. *A minimum bid will be posted on Bidding for Good when the auction goes live.